'Just watch what I do next. I'll teach them all a lesson'. Has @KirtiAzadMP made good on his threat? Why is Subramanian Swamy backing Kirti Azad? Is he eyeing Jaitley\'s job? 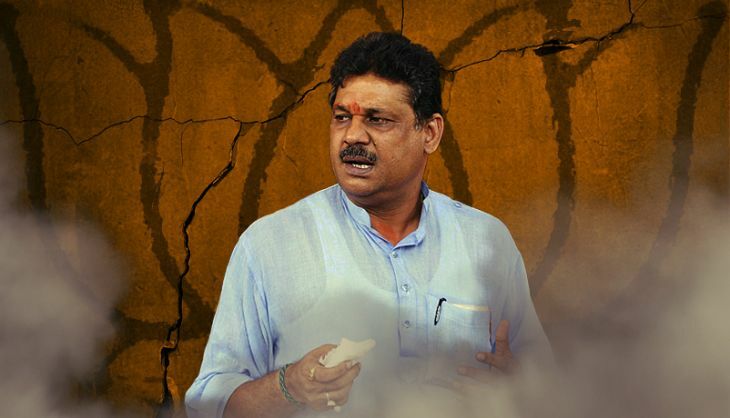 "Haar Nahin Manunga, Raar Nayi Thanunga; Kaal Ke Kapaal Par Likhta Mitata Hun, Geet Naya Gata Hun," thundered Kirti Azad when reporters in Samastipur, Bihar, asked about his suspension from the BJP. "I'll not give up, I'll take up the fight afresh; On the wheel of destiny, I write, a new song I sing now." Notwithstanding the rhetorical flourish, it was as clear a statement of Azad's intentions as any: I am not going to be cowed down, he seemed to be telling the BJP leadership. Azad had recently been sacked by the party for raising flags about corruption in the Delhi cricket governing body - DDCA - while Finance Minister Arun Jaitley headed it. If there still was any ambiguity, the MP from Darbhanga added, "I have not indulged in any anti-party activity. Just watch what I do next. I will teach them all a lesson." Indeed, Azad has already made good his warning. On 25 December, he wrote to BJP president Amit Shah, demanding to know exactly what "anti-party activities" he had been suspended for. He's also preparing to wage a legal fight to "validate" his charges against Arun Jaitley. Azad insists the CBI is going "too slow" in its probe into the DDCA corruption case, so he might file a PIL in the Delhi High Court. At the same time, Azad is hard at work projecting his suspension as "vendetta" for "exposing" Arun Jaitley, rather than a matter of party discipline. "It is unfortunate that the party has suspended a member who was fighting against corruption. It should have heeded my call to probe DDCA corruption instead," Azad said. His supporters are listening. In his Darbhanga constituency, BJP workers protested Azad's suspension by trying to disrupt trains and by burning effigies of Modi and Jaitley. Several local BJP leaders have threatened to resign en masse if the suspension is not revoked. Trashing speculation that he was planning to join another party, Azad appealed Narendra Modi "for justice". "The prime minister must listen to my case and tell me where I was wrong. I had not raised allegations against a person, but an institution. Is honesty my fault?" Azad may be the loudest voice of dissent in the BJP right now, but he's not a lone warrior. He has found an outspoken supporter in Subramanian Swamy, who is reportedly helping him draft a reply to the suspension notice. "I don't think the party should lose an honest person like him," said Swamy. "He is still a BJP member. I have every right to assist him." Swamy though may have more personal reasons to bat for Azad. Apparently, after the BJP took power, Swamy hoped to get a role in the finance ministry, if not its leadership. According to party sources, he even had Rajnath Singh recommend his name to Modi. But Jaitley prevailed, and reportedly ensured that Swamy wasn't made even a minister of state. Now, Swamy feels Jaitley's ouster could open up the job for him. Just like Swamy, the disgruntled MP Shatrughan Sinha too hasn't minced any words in expressing his support for Azad. Describing him as a "hero" of the BJP, Sinha tweeted a "humble appeal to friends" to "avoid coercive action against a friend who is fighting against corruption". According to party sources, Sinha and Swamy are just the beginning. At least 24 BJP MPs are set to come out openly in support of Azad in the first week of January. They have sought a meeting with Modi, and depending on his response, would decide the future course of action. The Margdarshak Mandal of party elders went into a huddle on Thursday to discuss the issue. Sources said LK Advani drove to Murli Manohar Joshi's house, where they were joined by Shanta Kumar and Yashwant Sinha. Azad had appealed to the Margdarshak Mandal to intervene in his case, and he is likely to meet Joshi and Advani soon. The four leaders had publicly taken on the leadership after the Bihar election debacle. Although they chose to remain discreet this time, party sources said they are likely to demand an inquiry into DDCA's affairs. Advani may write to the prime minister to express their anguish. The elders feel the party leadership ignored "laid down procedure" while suspending Azad. They believe he should have been sent a show cause notice and given a chance to reply. The leaders are also likely to ask the leadership how Azad's conduct amounted to indiscipline. More importantly, perhaps, there are reports that even the RSS is unhappy with the treatment meted out to Azad. The Sangh elders are miffed that the decision to suspend Azad was "taken in haste" without "any consultation" with them. "It was only the pressure from AAP that changed things. That's why it needed a more nuanced counter," an unnamed RSS source was quoted as saying by the NDTV. RSS leaders have pointed out that Azad had been making these same charges for years but the BJP brass had failed to "handle" him so far. Adding to the BJP's headache, the opposition parties have pounced on the opportunity to target Jaitley. In fact, Azad's suspension evoked a response from none other than Rahul Gandhi himself. "When Modiji was campaigning in the last election, he used to say 'Na Khaunga, Na Khanegunda'. Now a cricket scam is being alleged, but Modiji is silent," the Congress leader said in Lucknow. "His own MP has said there is corruption and there should be an inquiry, but the prime minister, who used to speak about being tough on corruption is completely silent today."
. @digvijaya_28: Is this the fate of BJP leaders who raise graft issues? Jethmalani, Kirti. Shatrughan next? His party's general secretary Digvijaya Singh also joined the attack. "Kirti Azad suspended by the BJP. His crime? Raised issue of corruption in DDCA with facts. Is this going to be the fate of all those in the BJP who raise issues of corruption? First Ram Jethmalani, now Kirti. Next Shatrughan Sinha?" he said. Arvind Kejriwal, not unexpectedly, supported Azad in unequivocal terms. It was the CBI raid on the Delhi chief minister's office early this month that had kicked up the entire storm. "There is no democracy in BJP. Honest voices are muzzled to protect corruption," the AAP leader tweeted. The question is, why did the BJP brass, particularly Modi, expose themselves to such a barrage of criticism by shunting out Azad, when it could easily have dealt with him more subtly? According to party sources, while some members of the BJP Parliamentary Board favoured taking strict action against Azad, many had urged restraint. Azad had earlier been warned by Amit Shah and BJP general secretary Ramlal not to "join forces" with the Congress and the AAP against Jaitley. Still, even after Azad held his presser to "expose corruption" in the DDCA, Shah and Modi weren't thinking of suspending him. They seemed inclined to overlook Azad's "theatrics", the sources said, "as they have ignored the rants of Shatrughan Sinha". Shah wasn't ready to go any farther than issuing Azad a show cause notice. But on the night of 22 December, Jaitley called Shah and made it clear that he would settle for nothing less than Azad's ouster. He reportedly threatened that while he would continue as finance minister, he would quit all party posts if his demand was not meant. Shah then discussed the issue with Modi, before his departure for Russia, and he gave the nod for Azad's suspension. When the decision was announced, all hell broke loose. Meanwhile, to curb constant bickering within its ranks, the BJP has decided to teach its MPs some discipline. It's planning to organise a two-day session for them at Rambhau Mhalgi Prabodhini, an RSS training centre in Mumbai, next month. But, it seems, chances are slim that the exercise would quell Azad's clarion call to rebellion. TWEET THIS Brewing trouble: 24 BJP MPs ask to meet Modi, may come out openly in Azad's support in January 'Just watch what I do next. I'll teach them all a lesson'. Has @KirtiAzadMP made good on his threat?